As licensed architects and designers, a big part of a daily day is helping our clients in the initial phases with cultivating backyard landscape design ideas. Not everyone has a clear vision of what they are looking for on their property, often times they need input and assistance from a professional and knowledgeable team. Working with a professional team helps to ensure you will be getting the most out of your investment in a backyard landscape design. It is important to understand all the elements on your property, from sun and shade exposure, to soil conditions, to grades and drainage on the site – all of this will effect which plants are used and where they are placed. 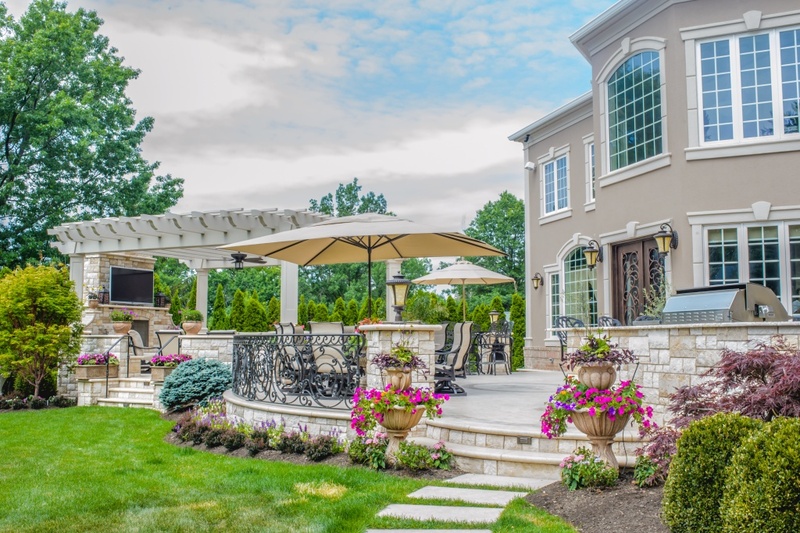 Typically, when helping a client create the ideal backyard landscape design, we need to learn about the lifestyle and how this space will be used. Will it be a backyard with a pool and patio, an outdoor kitchen and bar space, or will it be a tranquil garden backyard? Is this space going to be used with the family, children, or for entertainment and friends? What are the colors you would love to see outside your windows, the textures and the specimens? Do you need large plantings to create screening and privacy from neighbors? We also keep in mind the client’s budget and help to create the best space for the most cost effective route. Not everyone that we work with is educated in the landscape and architecture field, and we are here to help them through the entire process of cultivating the backyard landscape design ideas best for them. If you are looking to redesign your property and need professionals to help you feel free to contact us and learn more about how we can help you in this process.